A healthy body needs a healthy balanced diet rich in vitamins and minerals. At Carrick Knowe Pharmacy our well trained Pharmacy team can help advise you on the vitamins you need to include in your diet and what they are for. With the busy lives we live it can be difficult to maintain a healthy diet, and whilst the best source of vitamins and minerals is from the original food source, there are times we may need to boost our bodies with vitamin supplements to replace missing nutrients. 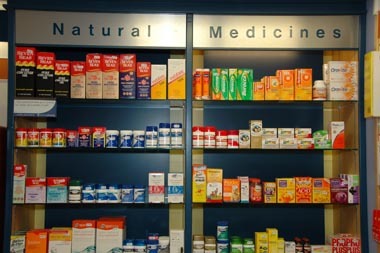 Not only can you get the advice you need in Carrick Knowe Pharmacy we also stock a comprehensive range of food supplements. If you are feeling a bit low – don’t delay and ask to speak to the Pharmacy team or contact us online or by phone.